Import Google Earth image to CAD. Export CAD screenshot to Google Earth. Import Google Earth objects to CAD. Export CAD objects to Google Earth. More than 3000 supported coordinate systems worldwide. 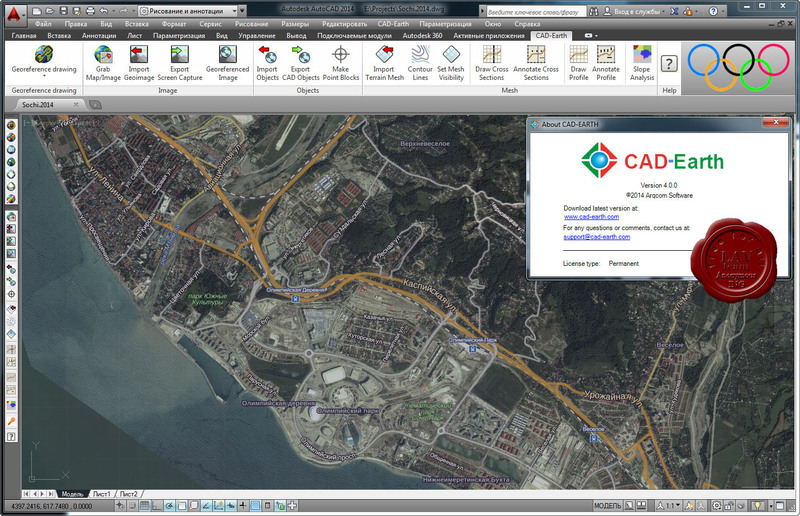 CAD-Earth for other AutoCAD versions can be downloaded from here. Google Earth plugin can be downloaded from there.